Harvey Milk is an American experimental rock/noise rock band that formed in Athens, Georgia in the early 1990s. 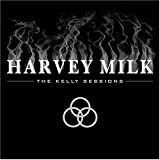 While Harvey Milk invariably draws comparisons to the Melvins, due to their penchant for slow, heavy riffs, the band has touched upon such artists as ZZ Top, Led Zeppelin, Leonard Cohen, and Kiss as influences in their music. They even went so far as to perform a live show consisting of nothing but Hank Williams covers. One April Fool's Day gig at the 40 Watt in Athens, they performed R.E.M. 's Reckoning album from beginning to end, while Michael Stipe was in attendance.